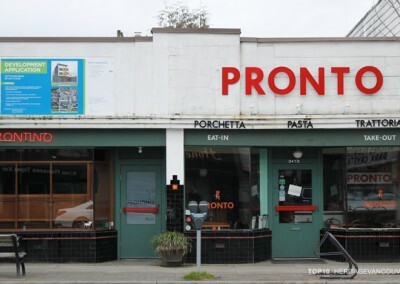 The Britannia Community Centre Complex is a 17.04-acre property located just west of Commercial Drive at Napier Street. The site is home to numerous social, educational and recreational facilities, including a secondary school, a community centre and a library. Collectively these services form the cultural heart of the Grandview-Woodland neighbourhood. In 2014 the City of Vancouver approved capital funding for the renewal of the Britannia Community Centre Complex. Since then a master planning process has been carried out, scheduled to be completed and approved by Council in spring 2018. Following this approval the serious rezoning, planning and detailed design work will continue with a goal of starting demolition and new construction by 2020. The initial focus of the renewal work will be on the pool, fitness centre, Gym C building, and the Info Centre, located around and adjacent to the heart of the complex at Napier Square and greenway. Future phases (ice rink, library, housing, cultural facilities) are somewhat dependent on the priorities of project partners such as the Vancouver School Board and Vancouver Public Library. 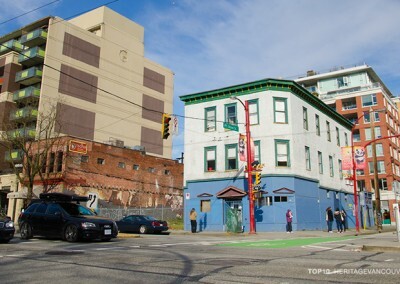 What this means is that by 2020 the construction fences could be up, Napier Square largely inaccessible and the total destruction of one of Vancouver’s most unique community assets underway. The Britannia site is important for various reasons that range from architectural to social. Physically the site has a long history of occupation and use. The Grandview-Woodland area once served as a part of the overall First Nations-related ecosystems that made up the Fraser Valley. This legacy is still part of the complex. Britannia’s elementary and secondary schools both have significant First Nations demographics and these students take pride in the carving pavilion designed for the site by award-winning, Vancouver architect, Joe Wai. This indigenous presence should be acknowledged and considered as a part of any renewal effort, particularly in the light of a nation-wide reconciliation movement. We applaud the current master plan’s efforts to include indigenous input and recognize this important presence including the potential renaming of the complex. 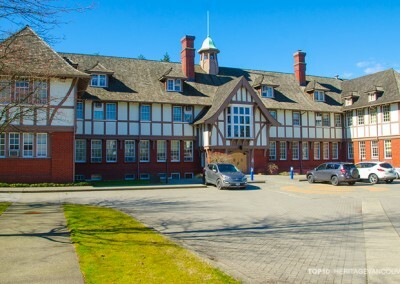 From a settler perspective, Britannia Secondary School was built in 1911 to service the growing Grandview-Woodland neighbourhood, with additions made in 1955 (school gym and cafeteria) and 1967 (science wing and wood/metal shops). 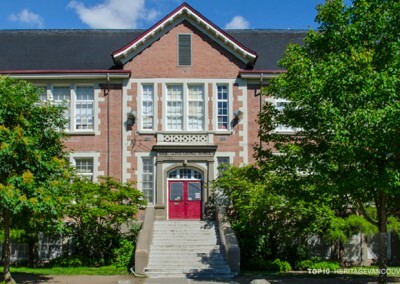 Today the building is the oldest, still-standing high school in Vancouver and offers a broad variety of programs, including international baccalaureate, aboriginal and other specialized programs, in addition to the regular high school diploma. 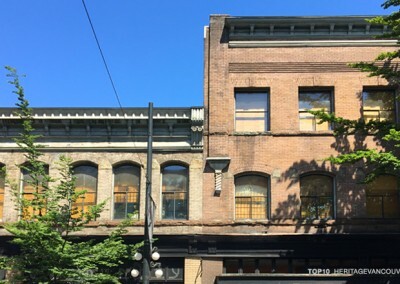 As one of Vancouver’s oldest schools, any renewal must be sensitive to both the historic building, as well as the role the school plays in the broader community. 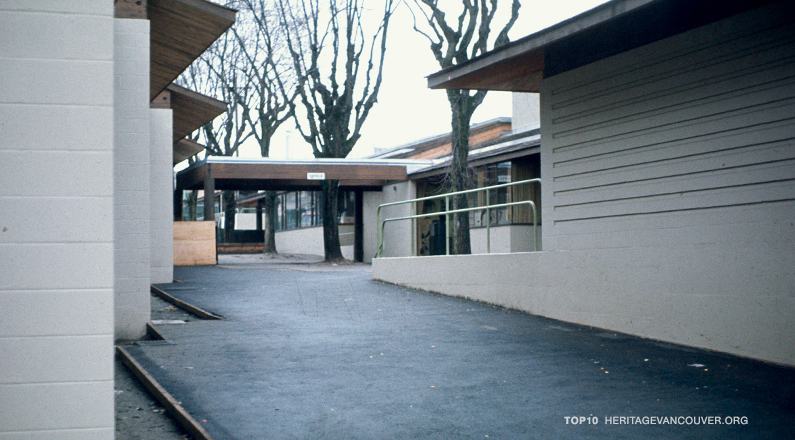 In the early 1970s the Grandview-Woodland neighbourhood came together with the Vancouver School Board, Vancouver Public Library and the City of Vancouver to create a community-driven organization dedicated to providing recreation and learning opportunities to local residents. 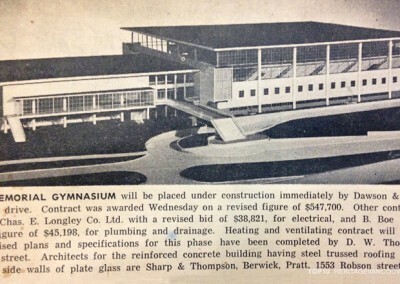 Out of this process, opening in 1976, came an expanded site with a new elementary school, ice rink, swimming pool, a shared library space and the various supporting elements. 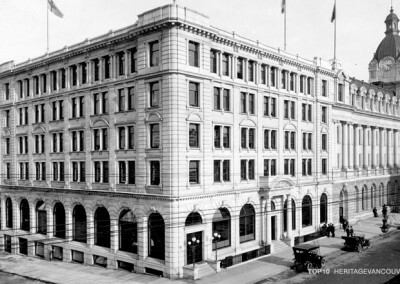 Unusually this meant that the schools had access to a swimming pool and ice rink – facilities that Vancouver public schools did not generally have. This unusual cooperation between very diverse organizations with widely differing mandates is one of the critical intangible legacies that needs to be nurtured, maintained and acknowledged in any new development. Britannia’s physical architecture reflects this utopian spirit of cooperation, as it was designed as a mini “village” of buildings connected by generous outdoor public spaces. This mix of schools, community centre and library, along with external circulation, peek-a-boo windows, sheltered alcoves and numerous public art installations were designed in the collaborative spirit of the idealist architecture of Christopher Alexander’s “Pattern Language.” The complex is the best, and one of the only, public examples of this architectural and historical movement in Vancouver. 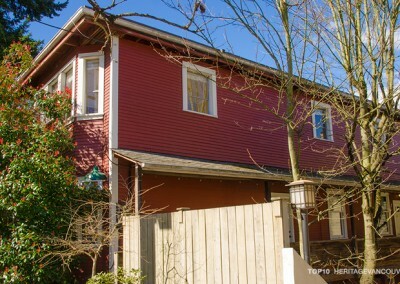 Important to this planning and design philosophy is an idea of “unintended delight in encountering others.” This is very well realized in this complex and is perhaps its most important, socially significant legacy – at no other community recreation complex in Vancouver can you encounter (in a comfortable, casual manner) other members of the neighbourhood who might be generally outside of your typical social circle. All ages, genders and cultures are present, and the modest built scale and intricate circulation patterns ensure that you will pass close enough to nod or smile. These might be small things, but they are the things that bit by bit form a community. These moments may be lost if a large, multi-storey, consolidated facility is constructed without careful design consideration. Heritage Vancouver recognizes that the existing Britannia Community Centre Complex poses ongoing challenges from a maintenance, operational and financial perspective, but we also believe that there is an important historic, architectural and artistic legacy that needs to be protected. This includes the progressive social and placemaking movement related to this site. As such we believe that the wholesale redevelopment of the facilities, without careful consideration of how to maintain the historic character and uplifting, communal feel of the complex, is not an acceptable outcome to the renewal process. Currently the master plan proposes a phased, wholesale redevelopment of the complex. If not managed carefully this could irrevocably unbalance the existing architectural and community relationships. For example, the first phase of the project proposes to demolish and rebuild the heart of the complex around Napier Square – the swimming pool, info centre and library. Eventually (potentially a decade later!) this area will be rebuilt into a large, potentially isolating central square. What will this demolished void look like while the rebuilding and reconstruction of the facility occurs, and how will the delicate community balance of facilities and spaces be maintained in the years between these phases? When complete this square will replace the current narrow ‘community forming’ circulation patterns with a large space that fronts on to the elementary and high school. This square appears to present a number of challenges that could make effective placemaking challenging, such as significant grade differences across the space, security and access concerns towards the school side, among others If this negative outcome is the final outcome of an expensive, long-term disruption of the current balance perhaps we should consider retaining parts or all of the present facility. We also note that, at the time of writing, the complete master plan has not yet been released or approved by council. We hope that with a full document in hand that meaningfully addresses the above issues we can work collaboratively with the various partner agencies and Grandview-Woodland community to help maintain and record the important tangible and intangible aspects of this site. 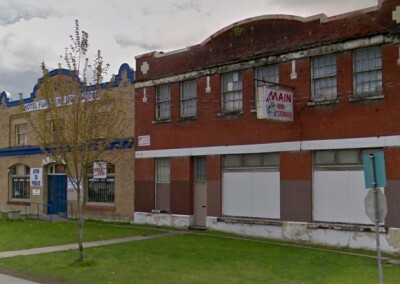 Let city council, the Vancouver Public Library, Vancouver School Board and your community know that you value the Britannia Community Centre Complex and want to take actions to protect the tangible and intangible character of this important social, architectural and planning practices legacy. 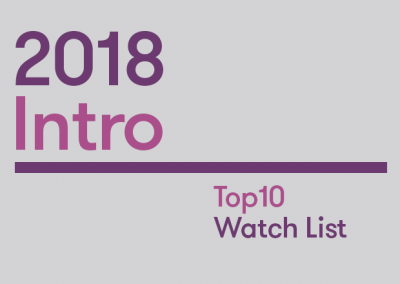 Speak out and participate in the planning, rezoning and overall redevelopment process as it unfolds over the next three-plus years and express your concerns about the loss of a unique architectural, historic and social narrative.